Today is the release day! All the new products from Taylored Expressions are now available for purchase from Taylored Expressions Store. I am excited! So many awesome new products to choose. Happy shopping to all of you. 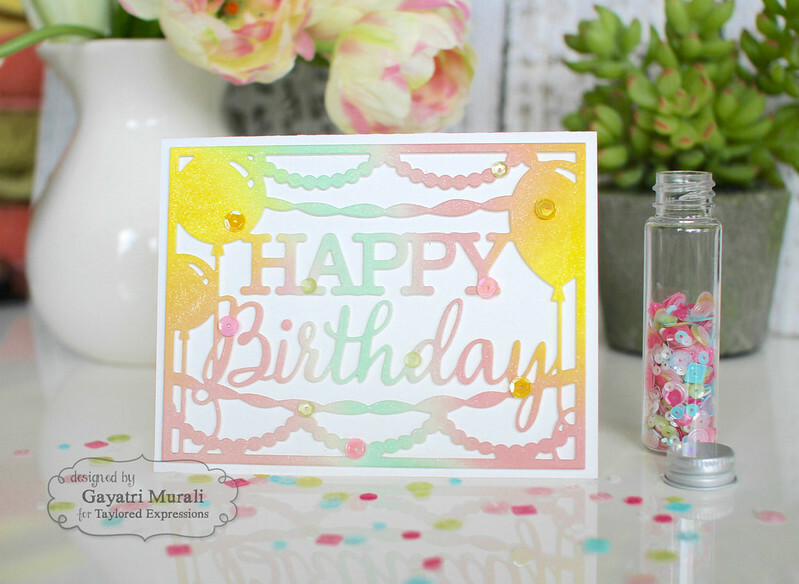 Today I am sharing with you a card using Happy Birthday cutting plate. I have sponged TE dye inks – Mint Julep, Lemon Meringue and Pink Champagne on Sugar Cube card panel. 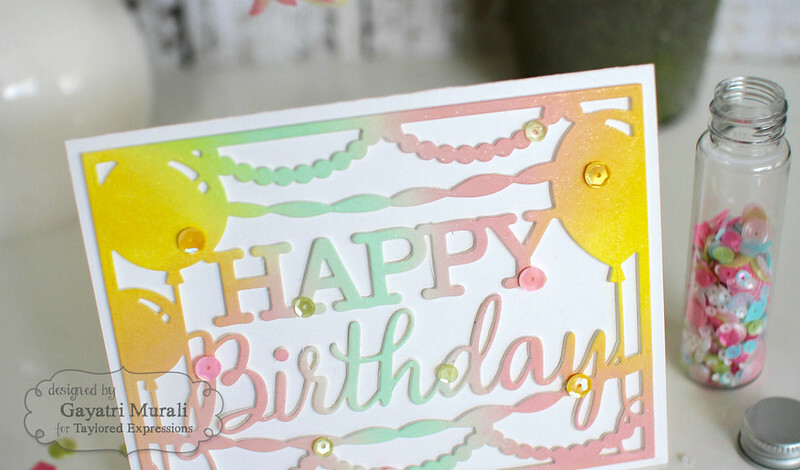 Then die cut panel using the Happy Birthday Cutting Plate. Love the soft pastel colours. I also die cut a three more and stacked glued them for dimension. I simply adhered this to a Sugar Cube card base. Then I used sequins from various collections to coordinate the colour and adhered them to finish the card. Simple and easy. You can vary the colours to suit your liking. Love how beautiful the TE dye inks blend. Just like butter. I have listed all the supplies I used on my card below. Such a beautiful card with sweet elements! This is gorgeous. Your ink blending is always so fabulous!! I love this soft pastel look!